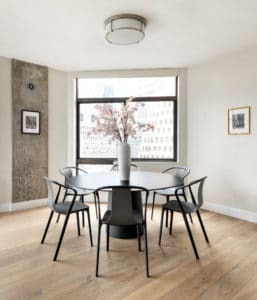 F. Schumacher & Co. is a privately held company based in New York City offering stunning fabrics, wallpapers, trimmings, furnishings and floor coverings under two brands: Schumacher, and Patterson, Flynn & Martin. Any lover of design is likely a fan of Schumacher’s broad range of beautiful and luxurious offerings, and I am no exception! What I love about their offerings is that dependent on your mood, or the nature of your project, you can always find beautiful fabrics and wall coverings that are both subtly beautiful and yet so stunning. Every time I go through their selection, I am taken by just how many of their fabrics I obsess over! I love having this creative space to share my favorites of everything with you, so I wanted to share my top selections for my current projects/ state of mind! How spectacular are these for a chic New York living room? I love these small repetitive patterns that render bold patterns both imminently usable and gorgeously detailed. They keep the focus on the (hopefully spectacular) view while drawing you in in equal measure. Clockwise from Left: Sullivan in Blue, Sprinkle in Aqua, Mini Leopard in Cloud, and Nakuru Linen Velvet in Mineral. I love a soothing bedroom done in neutral tones for the ultimate in rest and relaxation. Corallina in Grey and Brushstroke in Mineral. These fabrics are so lovely for a summer house project or any room in which you want to channel the glory days of summer! I can’t wait to build an inspiration board around these – the possibilities are endless. Clockwise from Left: Folly in Orpington Blue, Abstract Leaf in Taupe, Wellfleet Ticking in Ocean, and Temple Garden in Beaches. Blooming Branch in Blue and Blush- need I say more? I am LOVING these for a gorgeous settee with pale green silk pillows and plush carpet underfoot.